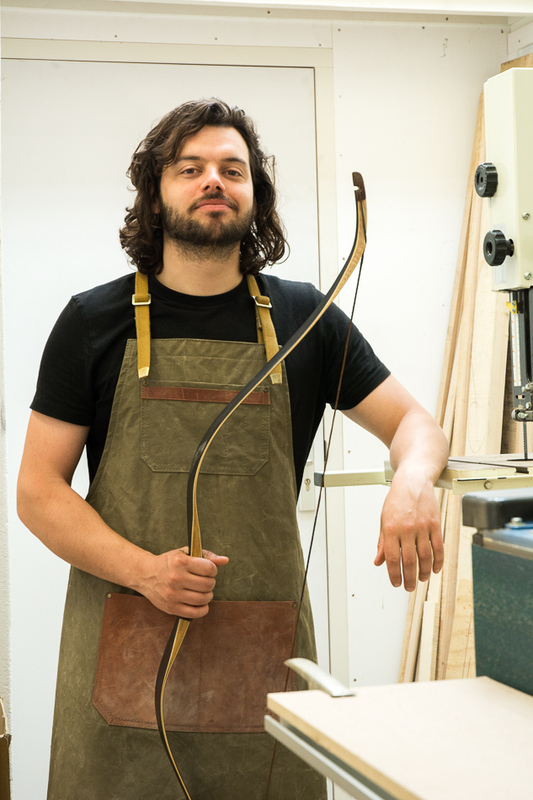 Simon van der Heijden spends most of his time in his workshop doing what he loves: making bows! Simon has been making bows for over ten years. He started with simple wooden self bows and soon after that laminated longbows. Studying a variety of bows he became interested in traditional bows from the Middle-East and Asia which led him discover new bow making techniques involving modern materials. Simon's passion comes from being part of the whole process. Laying out the "raw materials" put them together, shape them and as a result make a piece of art you can use. Please feel free to contact Simon for any questions regarding his bows or bow making.